I posted my first video to youtube! It just showcases my bracelets. I enjoyed arranging this video, but don’t really care for some of the new changes in Movie Maker. It seems like you used to be able to do a lot more with Movie Maker. Oh well, it was fun. Check it out and like it (if you have four minutes to spare). Thanks in advance! I’ve been incognito this winter, especially when it comes to posting on this blog. I lost whatever motivation I had to blog sometime in December when I just felt that nothing I had to blog about was really that important. Besides, who would miss me? I’m just another dot floating around in cyber space, right? This blog was an afterthought, one of those, “It’s good to have a blog to drive people to your other sites so you can make money.” Well, let me be honest and admit that my blog is not necessarily a money maker. But that’s obvious. I see posted everywhere on the interweb people who boast that they love what they do and it’s not about the money. 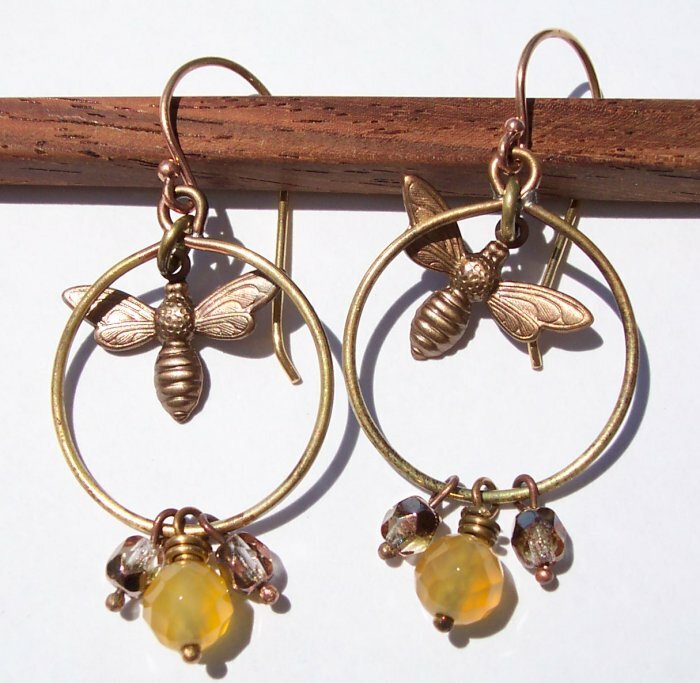 I love making jewelry, but what’s the point of making stuff if it just sits there collecting dust? I want people to love my stuff, too. Besides, I have a huge phobia of hording. Collecting stuff that you find useful and eventually use is one thing. Collecting stuff because you couldn’t pass it up but you don’t have a clue of what to do with it, so you just leave it somewhere and then eventually have to buy storage sheds to keep all the useless stuff; very frightening. I’m very lucky. 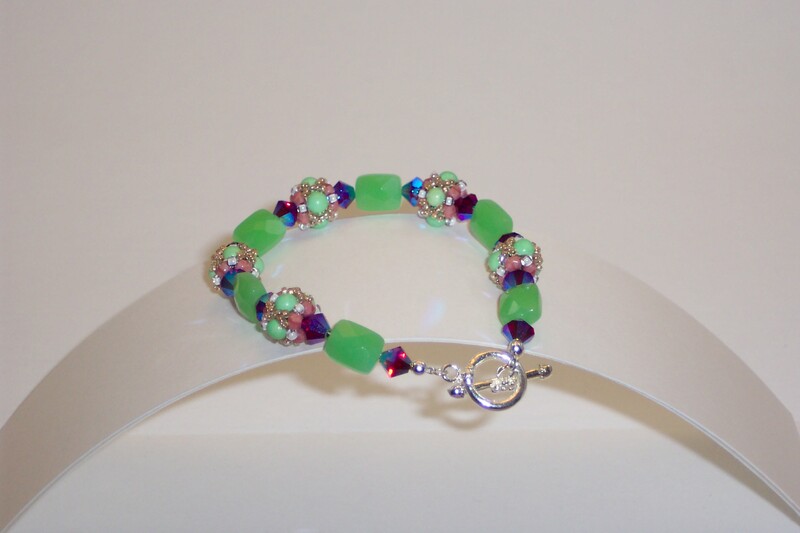 Today I sold a very special bracelet to a special customer who sounds like he will be getting a lot of use out of it! I included some dark chocolate covered goodies with my delivery! This bracelet was one that I made some time back. I added two extra beaded beads to adjust the length. 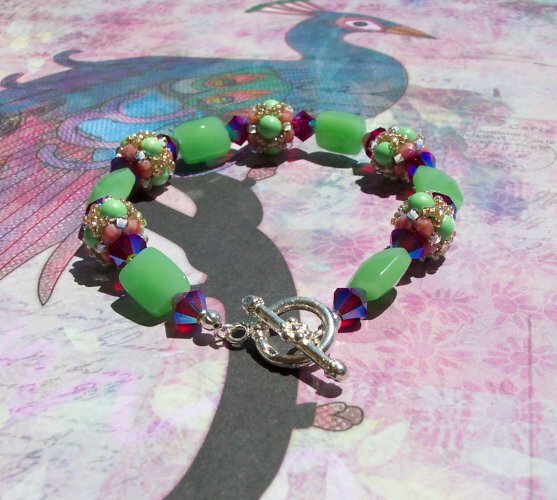 It has jade-colored faceted glass rectangle beads and swarovski crystals. 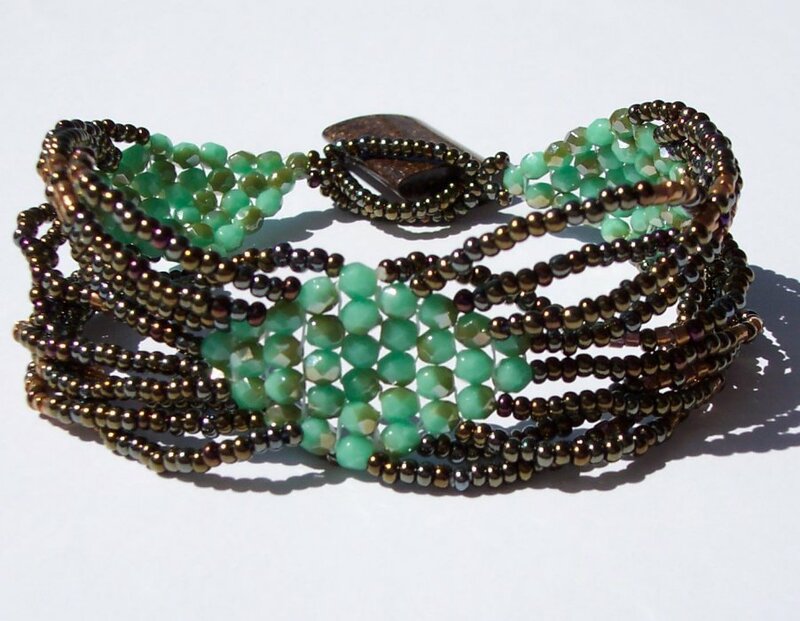 The beaded beads have died magnesite, faceted, fire-polished glass beads, and seed beads. I hope my customer enjoys this piece! 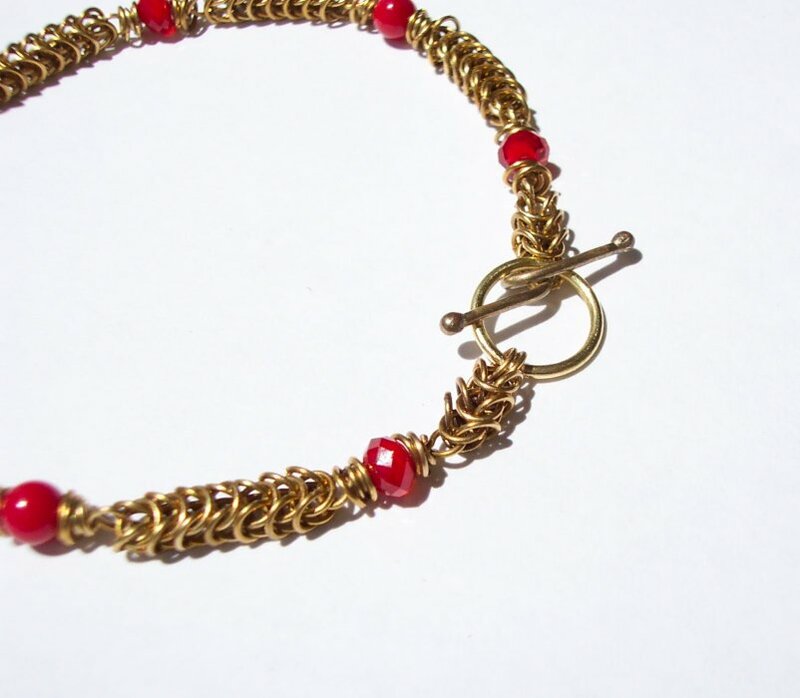 I just completed a bracelet in micro maille, a really fine chain maille. I hand cut all the rings from red brass wire. I love red brass. It is an alloy of copper, tin, and zinc, mostly containing copper – 85% I believe. 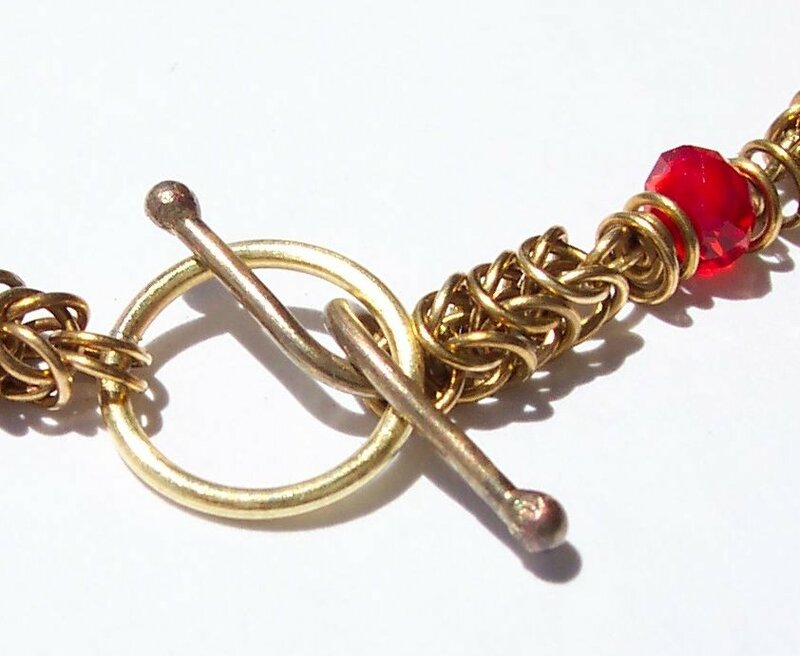 The clasp was done in yellow brass. Yellow brass contains mostly zinc and some copper. Yellow brass is a lot stronger than red brass. The rings measure 2.5 mm, inner diameter. 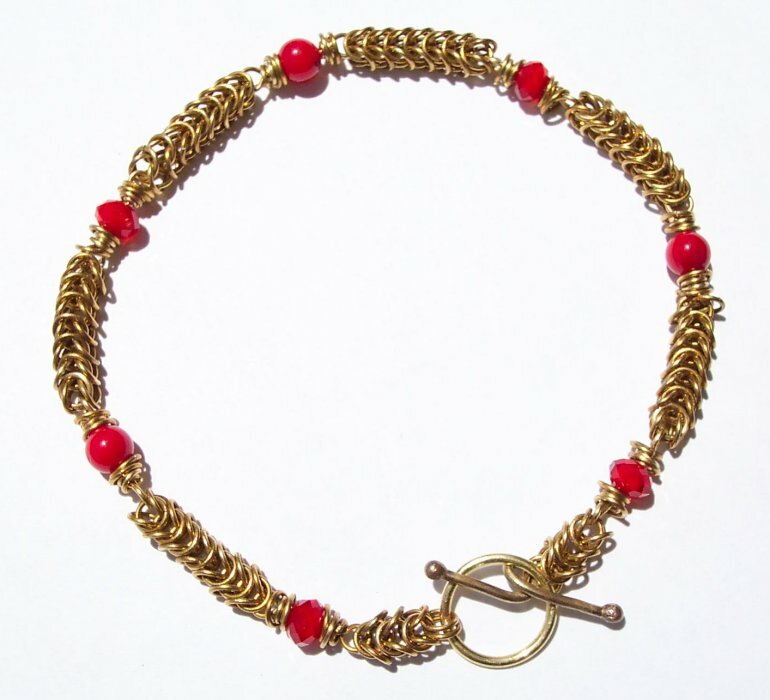 I used red crytal rondelles and bamboo coral to compliment the red brass. The end result is a refined, delicate piece. I’m pretty happy with the resulting piece.